Fitness Blog Spot Reduction Myth – Can Certain Exercises Lose Fat From A Specific Area? Are you one of those people who does endless amounts of crunches in the hope will help you lose fat from your stomach? If so, then you have bought into the concept of spot reduction. Spot reduction refers to the idea that you can “reduce” the fat from one specific “spot” on your body just by doing exercises that target that body part. The question is, is any of this actually possible or is it just a myth? Despite what the Ab Circle Pro advert tells you, You can’t make your body lose fat from one specific area just by doing exercises for that area and any Trainer who tells you any different is clueless – find another one quicky!. 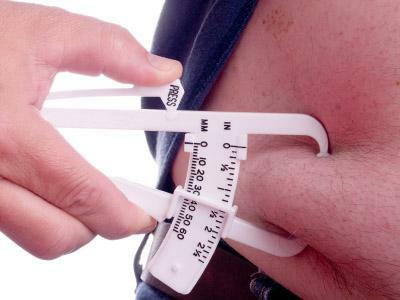 Fat can only be lost from the body as a whole in an order that is predetermined by your genetics. So, if you are doing a hundred sets of crunches and other ab exercises thinking it’s having any direct effect whatsoever on the fat on your stomach… you are completely wasting your time. You are just overtraining your abs and unless you look into changing your nutrition The fat covering them will remain completely unchanged. There really is no better way to explain why spot reduction is a myth than by telling you that the only thing EXERCISES actually TARGET is MUSCLES, not the fat that is covering those muscles. So then how do you lose that fat from the specific spot you want to lose it from? Simple. You create a caloric deficit through either a proper diet, exercise, or a combination of both and that causes your body to burn your own stored body fat for energy instead. The order in which specific body parts begin to lose fat is predetermined by your genetics and is impossible to change. This means most men will typically lose fat from their lower abs last (and gain it there first) just like most women will typically lose fat from their thighs and hips last (and gain it there first). Nothing you do can change the way your body stores and loses fat. As long as you have a proper nutrition plan and/or workout routine that causes a caloric deficit , then fat will ALWAYS be lost. And at some point it will eventually start to come off from the specific body part you were hoping for. The truth is crunches will NOT get rid of your your belly fat. Squats will not help you lose fat from your legs and Back exerciseswi ll not get reduce your back fat. The fact remains the same for every other muscle group and body part you can think of.